A light bulb in a microwave is extremely handy. It helps you check on your food without interrupting the cooking process and allows you to abruptly end the timer when food is ready, thus saving on microwave cleaning. Although a microwave can still work without a bulb, it can make the microwaving process much more arduous. This is even more unnecessary once you consider that replacing a microwave light bulb is relatively easy to do at home. What Is a Microwave Light Bulb? A microwave light bulb is a way in which a microwave can light up. 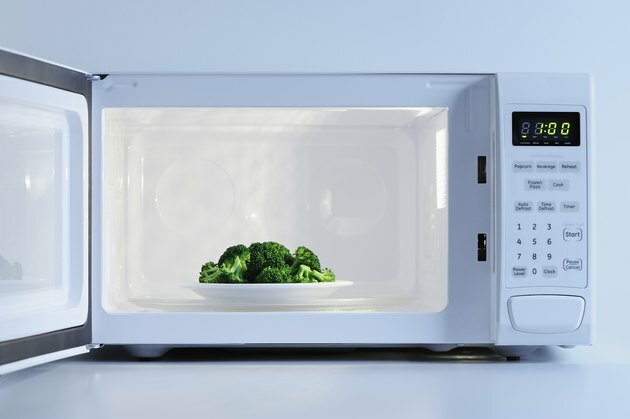 Microwaves tend only to light up when in use, which can help you see your food and know when it's ready. For the vast majority of microwaves, bulbs are either inside the cooking compartment and accessible that way. How Will You Know a Microwave Light Bulb Needs Replacing? A microwave's light bulb should be operational whenever the microwave is in use. It should also come on automatically whenever you open the microwave door, so long as the microwave is connected to power. If this isn't happening, it's likely your microwave light bulb has burned out and needs replacing. How Do You Replace a Microwave Light Bulb? Before starting your project, it's a good idea to find out the type of bulb you'll need for replacement and to purchase it. If you buy the incorrect bulb, it's likely that even after replacing your old bulb, the light won't work – plus it can be quite dangerous. When replacing the bulb, you must first ensure that the microwave is switched off and disconnected from power. It must either be unplugged from the wall or switched off at the circuit breaker if it's an inbuilt device. Find the light cover of your microwave by opening the back vent. Once you've found the light cover, you'll need to open it. First, unscrew the screws holding the cover in place, then gently remove the cover from the bulb. Next, remove the bulb. This can usually be done by unscrewing by hand, but make sure the bulb isn't too hot first. Safely dispose of your burned out bulb, then insert your new bulb in the same place. Replace the light cover and tighten the screws to ensure it stays in place. Then, replace the back vent panel of your microwave. Finally, you can reconnect your microwave with the power source. You can test your new bulb simply by opening your microwave door.